True North began back in 2004, when Tim Luby created True North Investments. In 2010 Tim’s brother, Robert (Bob) Luby, retired from his position in Public Sector Consulting and Supply Chain Management at IBM, and they joined together to create a second company called True North Equities. Bob then developed a diverse team of highly experienced leaders in logistics, proposal writing, recruiting, operations management, and more, allowing TNE to expand to include a portfolio of companies. 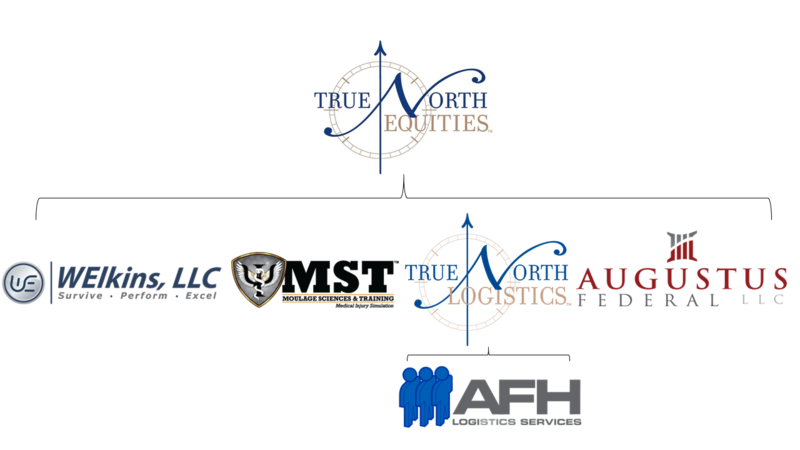 TNE was followed by the acquisition True North Logistics (TNL), Moulage Sciences and Training (MST), and WElkins. We recently merged one of our companies, True North Technologies & Advisory Services, with Augustus Global to form Augustus Federal, which specializes in federal market entry, government contracting, and small to mid-size business development and capture. Initially, we created the True North Small Business Support Structure to develop our internal companies, but when we started garnering interest from outside companies, we expanded to provide back-end business support and development for our new clients. Over time, we have developed a wide range of capabilities to serve many needs for our own companies as well as our diverse group of clients. We therefore specialize in many areas, including back-end business development, federal market entry, advisory and IT services, recruiting, supply chain development, and logistics. Our aim is to care for your business as if it is one of our own, receiving the same level of attention as that of our portfolio companies. We strive to create lasting connections and partnerships that will result in mutually beneficial business opportunities and growth. Absolute Integrity: We always act with the highest ethical standards. Teamwork and Collaboration: We collaborate with management teams and add value through disciplined processes for due diligence, investing, financing and governance. Open Communication: We communicate openly, regularly and effectively with stakeholders. Results: We strive to provide a superior, risk-adjusted return on investment for our partners. Shared Success: We share meaningfully in the rewards of success with partners and management teams.